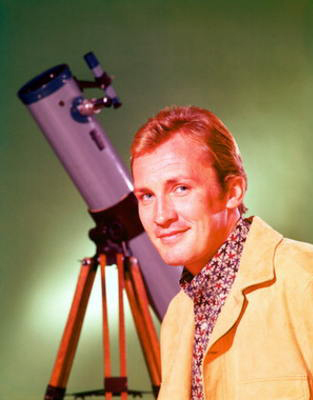 Welcome to the OFFICIAL home page of Roy Thinnes, star of the groundbreaking science fiction TV series, The Invaders (1967), which inspired many other TV programs and science fiction films. This website showcases Roy's fifty-year acting career and features a gallery of rare photos, especially of Roy as the legendary everyman David Vincent from The Invaders. NEW! JULY 30, 2018 Roy is retired and in fairly good health in Los Angeles, CA. He sends his love and appreciation to all the fans and is touched by the increased attention in the facebook fan club page as well as the Quinn Martin Invaders page and The Invaders fan page also on facebook. Autographs are still suspended at this time, but if that changes, we will announce it. Check out his great painting featued in this website. 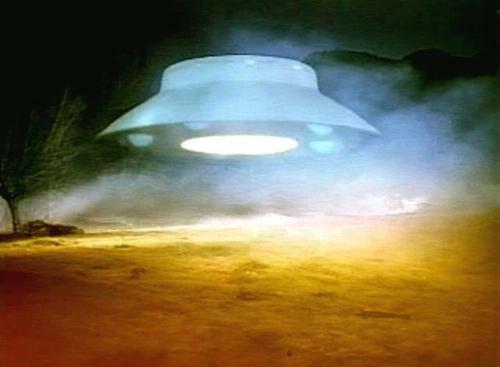 January 6, 2017: "A friend of mine, who is a UFO investigator, reminded me that The Vatican in 1947, and this was before the Roswell Incident, when asked if there was life out there in the Universe...the Pope (Pope Pius XII) didn't say it, but a spokesman for the Papacy said that the Universe must be teeming with life. Anyone who has seen the film they show at the American Museum of Natural History, it is a film trip into the Universe, coming up out of the Milky Way and observing distant galaxies as far away as one can imagine. Something's gotta be out there! How can we possibly assume that we're alone here?" 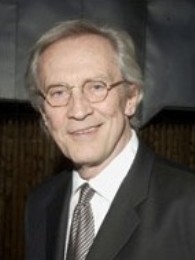 --Roy Thinnes. 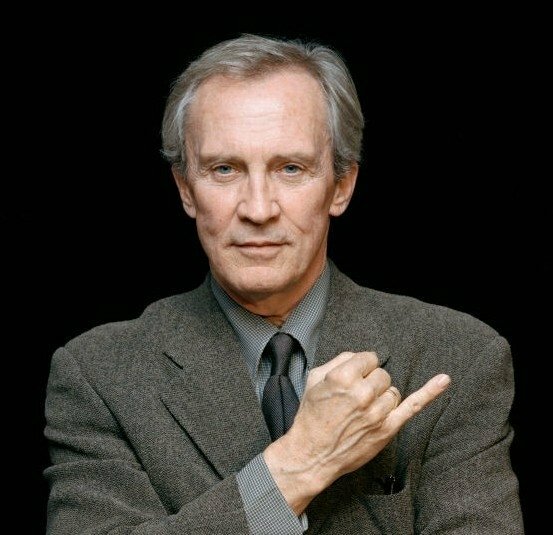 Roy Thinnes aka David Vincent in the Quinn Martin (May 22nd, 1922 - September 05th, 1987) produced 1960s classic SF tv series THE INVADERS (ABC 1967-68) will be in attendance at the upcoming THE HOLLYWOOD SHOW (formerly THE HOLLYWOOD CELEBRITIES AND COLLECTORS SHOW) being held on Saturday, January 07th (10:00 a.m. to 5.00 p.m. P.T.) and Sunday, January 08th, 2017 (11:00 a.m. to 4:00 p.m. P.T.) at the Westin Los Angeles Airport Hotel, 5400 Century Boulevard, Los Angeles California. This celebrity guest appearance by Roy is significant as it is his first after a lengthy moratorium and it also coincides just prior to the 50th Anniversary of THE INVADERS tv series' ABC Television Network primetime network debut on Tuesday, January 10th, 1967. Also present were former THE INVADERS guest performer alumni including Lou Gossett ("The Vice"), Antoinette Bower ("Condition Red! 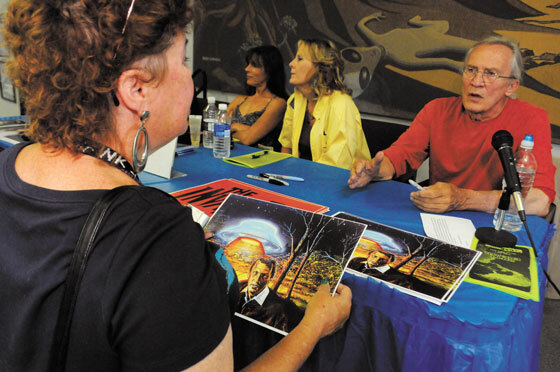 "), Sally Kellerman ("Labyrinth"), Barbara Luna ("Storm"), Joanne Linville ("Moonshot" and "The Pit") and Carl Held ("The Ransom"). Roy Interview Series simulcast pn BKPRADIO with host James Finch. It's a 12 week series. Here's episode 1. ROY'S ART FEATURED ON COVER OF EDGESCIENCE! ROY'S ART GALLERY located HERE! 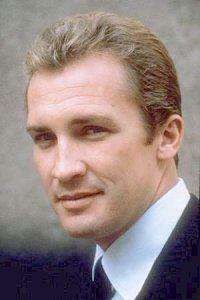 Now you can begin your journey into the world of Roy Thinnes and THE INVADERS! The new INVADERS DVD sets from CBS Paramount are available from Amazon (Season 1). Order Season 2 from Amazon today! See our news page for more information. Fans of THE OTHER MAN should also check our news page for some info.